Prior to understanding the role of AI in the changing face of SEO, it is important to understand what Artificial Intelligence is. Basically, there are 3 classifications of AI, namely, ANI or Artificial Narrow Intelligence, which is usually applicable for a specific thing. It is directed towards the achievement of a single objective. Other two types include AGI or Artificial General Intelligence and ASI or Artificial Super Intelligence. In case of AGI, it is assumed that the ability to perform a function is not narrowed down to a single function but multiple. And in case of ASI, it is assumed that the artificial intelligence level is much more than the other two and is regarded as superior to human brain. In the world of SEO, ANI is employed. 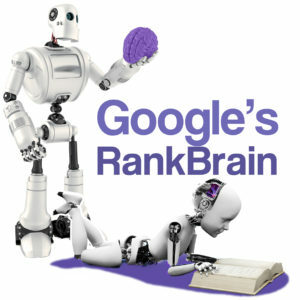 As such, when the question of Google’s ranking system and RankBrain is concerned, it usually refers to Artificial Narrow Intelligence. The applications of ANI have been around since a long time. And by naming a few instances, you will understand the role of ANI. For instance, the emails you receive in your mail ID are segregated into spam due to ANI. One of the primary benefits of using ANI in the world of SEO is that you can keep black hat SEO tactics at bay. In fact, it is quite unfair when you have always followed white hat SEO strategies and struggled hard to gain visibility but the ones that practice black hat SEO gain prominence instantly even if it is short lived. But due to AI, black hat SEO tactics will be monitored and identified and the concerned webmasters and link builders will face penalty for their unethical behavior. Earlier, it was seen that it was necessary to match the exact keywords and key phrases while optimizing web pages. However, with Artificial Intelligence, words and phrases searched on desktops goes beyond than just that. These days, keywords and key phrases are searched even on hand held devices apart from voice searches that are prevalent these days regardless of the OS that is installed in your smart phone. In other words, as far as searching for words and phrases are concerned, there is a broader horizon now. As a webmaster or a link builder, it is not unknown to you to put across requests for reconsideration of penalties imposed in the event your website is marked for an error or unethical behavior. However, with the presence of AI, these search engine stations need not be guarded manually and can be taken over by Artificial Intelligence. However, there is an important aspect that you have to keep in mind in this regard. While the search engine stations are manned and you send across “reconsideration requests” in the event of your website getting penalized, but if AI takes over, which is just an algorithm, these requests will not hold any value as machines cannot understand manual requests. As such, as a webmaster, your main objective will be not to get penalized for any discrepancies that occur in your website. Now that it is clear that search engine stations will not be manned but will be taken over by AI (which is just an algorithm), even the search engine giants cannot manipulate their own rankings, regardless of whether it is Bing or Google. This is because machines don’t differentiate between entities.